Breastfeeding Success is all about Preparation & Support! Don't go it alone! Call me for help. Remember, PAIN IS NOT SOMETHING TO TOLERATE. Pain is a sign that something needs corrected. The longer you wait the harder it is to fix! Call me, let's work through it together! * Feeding "constantly" or "for a long time"
*Falls asleep at breast after only a 2-5 minutes. Learn how to keep breastfeeding easy with a private class for you and your family. Ask whatever you like in the privacy of your home. Learn how to get off to an easy and enjoyable breastfeeding relationship with your baby. Learn what and how to avoid the common pitfalls that can make breastfeeding painful and difficult. For all types of circumstances. ei. high risk birth such as prematurity, multiples, disabled, breast surgery, etc. Yes, adoptive moms, and moms that bring their children home through surrogacy can and should nurse the new baby! 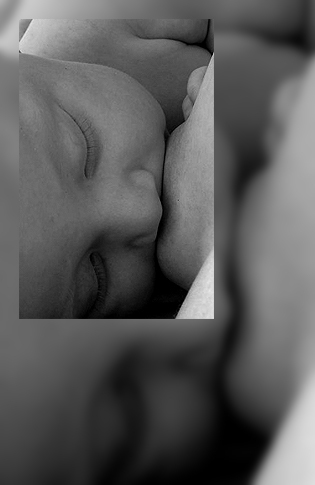 There is nothing like the mother baby bond created through breastfeeding. You can bring in milk, and CAN breastfeed your new baby, even if you have never been pregnant before, and your baby isn't a newborn! If it proves not possible to bring in a full or partial milk supply, you can STILL nurse the baby through the use of a Lactation Aid AKA Breastfeeding Supplementer. Babies LOVE to nurse from their mothers, they love everything about it. Don't let a lack of your own milk take that away from you. Breastfeeding is about so much more than just breast milk. Call me, and I'll help get you where you want to be! There is indeed an art to getting the most from breast pumping in as little time as possible. In this class (Pump Required) you will learn how to make certain your pumping parts fit your body properly, how to pump to best remove milk, pumping for the hospitalized and/or non-nursing baby, exclusive pumping (when breastfeeding from the breast is not possible) and more! Or if you are returning to work, all the tricks to make it a much easier transition that weaning would be! 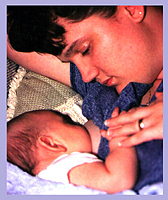 Private, personal breastfeeding support for you and your new baby. Be it in your first hours or days home, a few weeks down the line, or even a few months along the way, whenever the need is there for in-home professional breastfeeding support, I'm here for you. If the breastfeeding support and/or information you are receiving in the hospital is not quite what you expected, or what you need it to be, or maybe the nurses are lacking the time and attention that you and your baby require (and deserve!) please call, and I'll be there to give you the one-on-one support you need and deserve. All of my classes and breastfeeding support services are offered in the privacy of your own home or hospital room. It has long been my belief that families are more open to new information when they are in their most comfortable environment, their homes. Also, by taking your class, or receiving breastfeeding support in your own home, you will learn positioning techniques using your own sofa, your own easy chair, your own bed, your own pillows and other support items. This can only be of benefit to you once baby is home. We do offer in-hospital services for families that are simply not getting the help they need. Does my visit with you mean that I don't need to discuss all this with my Doctor? Absolutely NOT! Your Pediatrician and Family Doctors should always be made aware that you are taking a breastfeeding class, and to expect breastfeeding related questions from you, on a regular basis. Your Pediatrician should ALWAYS be told if you have a home visit, and what was discussed, and what your plans are. Any sort of breast illness or breastfeeding challenge should always be fully discussed with your family doctor. Any recommendation made to you by your family doctor should supersede any advice you receive from me, as they know you most initmately, and are your Primary Care Physician. I should be considered "Breastfeeeding Support", not your Primary Care Provider. I am here to support you, teach you, give you good, up to date and accurate information, instruction, and perhaps give you talking points to discuss with your doctor. I am in no way a replacement for your Primary Healthcare Provider's care. 35-38 weeks is the best time to take your class. Don't wait, contact me to reserve your class time!